Heading back into Mexico for our second last port saw us doing the Colima and Comala tour which included more ruins the Pyramids of La Campana - which were probably the best we saw in the area. The museum was once again good and we finally saw Lil' Teds relatives - but they use to use them as food - boo to them see pictures below. Colima was probably more up market than other Mexican cities we had visited on the first leg of the journey and they were getting prepared for Christmas so it was especially pretty. 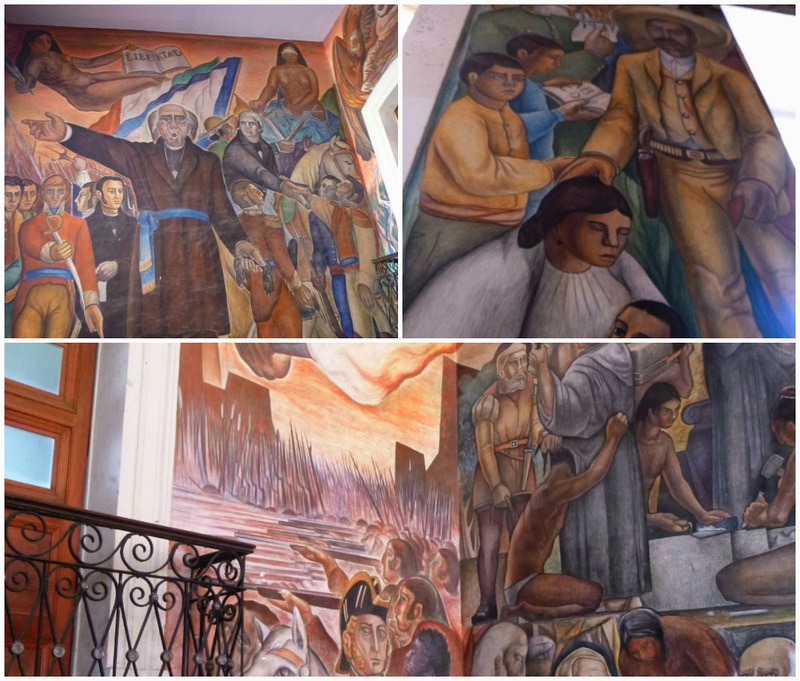 The Council building had a fabulous mural of the history of Mexico, which I thought was absolutely beautiful, do you agree from the pictures below? This covered all the walls and as you walked through you could clearly understand the struggles over the centuries, particularly lovely. After Colima we headed for Comala which is another small town, where we were served a fabulous lunch at the cafe in the main square and had Pina Coladas and Paunches their local brew, this coupled with about 6 courses of wonderful Mexican foods we full and happy. The square was alive and they were about to hold a street festival which we were lucky enough to be there for as a part of their beginning of Christmas festivities, this was so terrific and ended a good varied day of ruins, quaint towns, good food and drink with a bang - yes a bang as they were setting off fire crackers (something rare these days in our world to see). 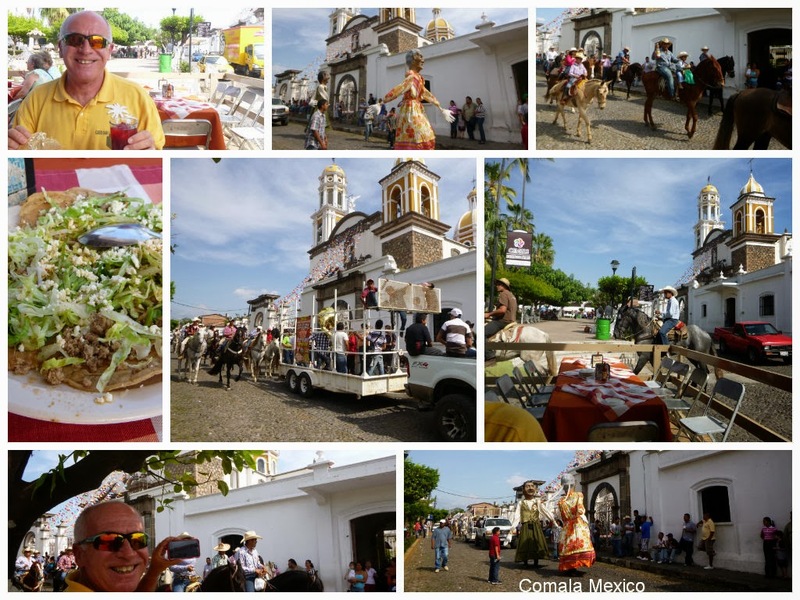 This was a bright and colorful day filled with lots of historical facts, ruins and a taste of Mexican life. We finished the journey with a tour through the upmarket beach resort areas here which where incredibly like Santorini, so this general area has some lovely resorts, quaint villages and archaeological information. The week after Christmas - HAPPY 2013! Life should NOT be a journey to the grave with the intention of arriving safely in an attractive and well preserved body,but rather to skid in sideways, chocolate in one hand, wine in the other,body totally used up, and screaming WOO HOO what a ride!